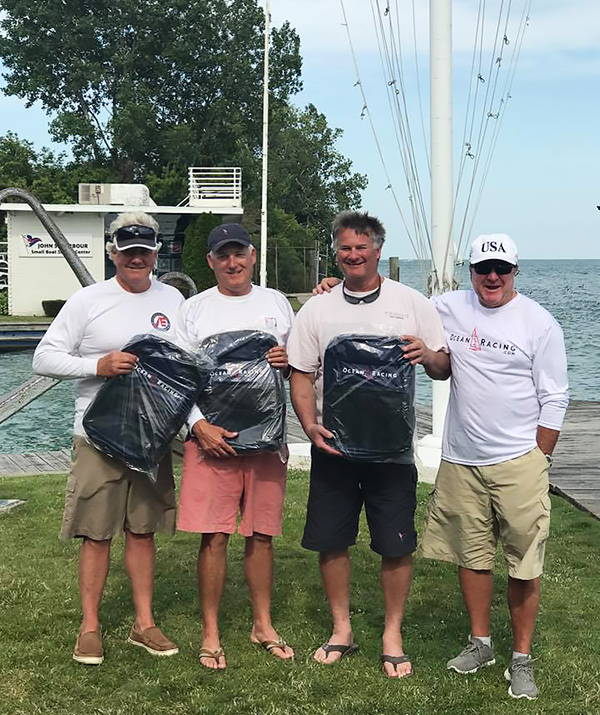 In Detroit at the Bayview Yacht Club, 10 Etchells teams competed in the Great Lakes Champs with North Sails client Bruce Burton and his team on Firing Line took the overall win after eight races. Bruce and team used the PC-F, LM-2L, LM-2H, AUS VMG, and Full Runner spinnaker. Congrats to our clients for finishing 1, 2*, 3, and 4, and winning 7 out of 8 races. At the North Cape Yacht Club, the Lightning Class also had their Great Lakes Champs, with Ernie Dieball’s team with Jacqueline Dieball and Amy Simonson taking home the 1st place trophy. North Sails clients finished 1, 2, 3, 4, 5 overall. Ernie’s weapon of choice was the M5, 5A+, and R2. Also at the NCYC, the Snipe fleet had their Championships, with Jno and Karen Disch took the win using North’s SW-4 main and R3 jib. Congrats to our clients for winning all three Great Lakes Championships Titles!